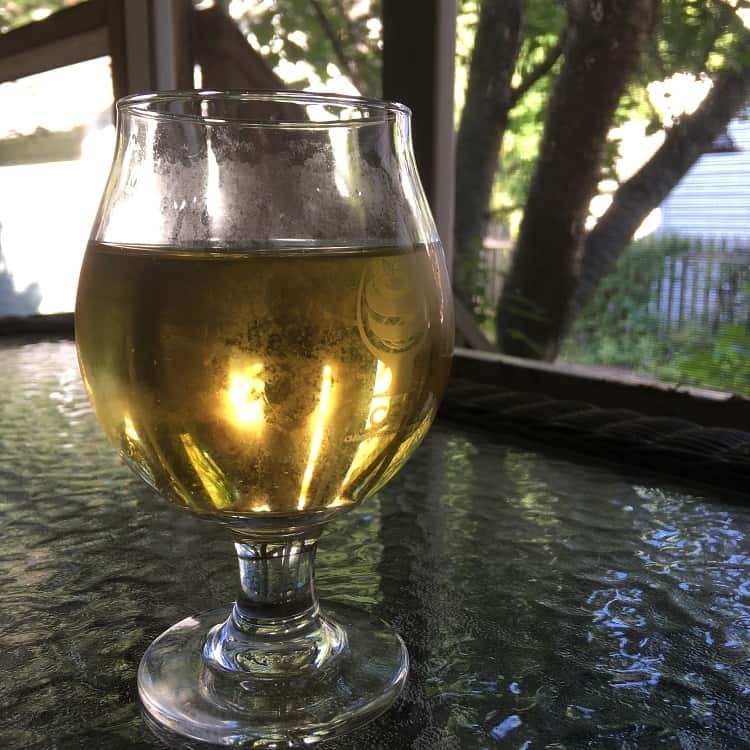 Many cider enthusiasts are familiar with the cider traditions of England, France and Spain, but I wanted to see what Scottish ciders are like. I won a contest and got to travel to Scotland with my husband this summer, and I was determined to ask about cider every chance I got. First, when I asked about cider, I was frequently told it was an English thing and not a Scottish thing. This news was sometimes delivered with stern faces and voices. Alas, we were directed toward whiskey, beer and gin, but we kept looking for cider. Despite the locals’ insistence that cider’s not “a Scottish thing,” we nevertheless were able to find and enjoy a variety of Scottish ciders — even if they were rarely the centerpiece of a pub’s offerings. After we explored Dunnottar Castle in the little town of Stonehaven (an absolute must-see), we stopped in at a bottle shop and were pleased to find some Scottish ciders. 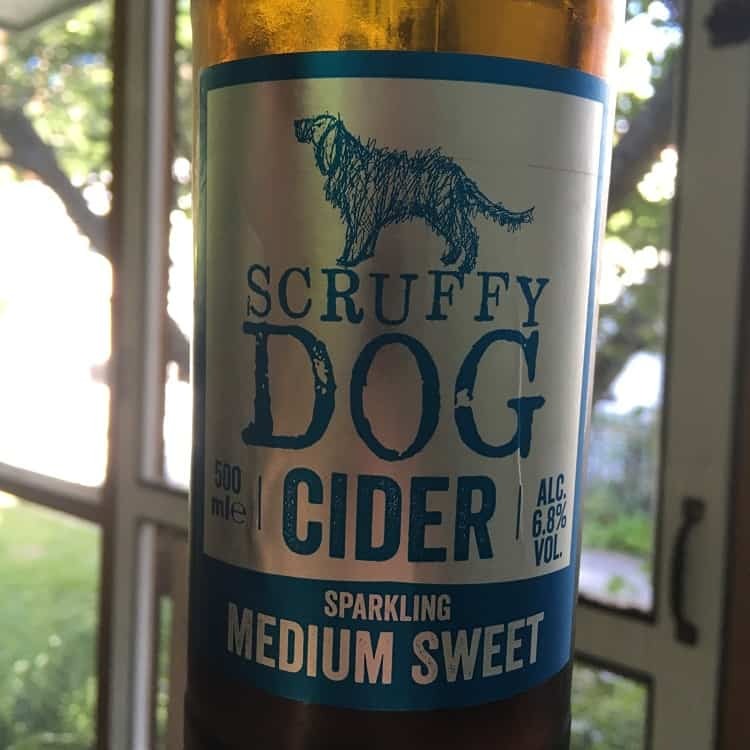 We were particularly taken with Scruffy Dog Cider’s Medium Sweet, which is made on the east coast of Scotland in Perth. The sweetness in this cider recalls fresh apples, lemons, cinnamon, cranberry and pomegranate — so many fruit notes in such harmony! Offsetting the sugars are lingering tannins, crisp acidity and a bit of funk to the body. The finish on this drink is perfection. I would love to get my hands on this one again! We also enjoyed a bottle of Cairn O’Mohr’s Vintage cider, made entirely from Scottish apples from Carse of Gowrie. This one is an exclamation mark of a cider! We smelled aromas of stone, brine and overripe apples, but we tasted a remarkable volume of flavor: golden apple, twigs and bark, raisin and olive, all with some sweetness, high tannins and a whole lot of bubbles. I think this drink would do well with heritage cider drinkers in the USA. It sure went over well with us, kicking our salivary glands into overdrive as we sipped it with some Scottish shortbread. 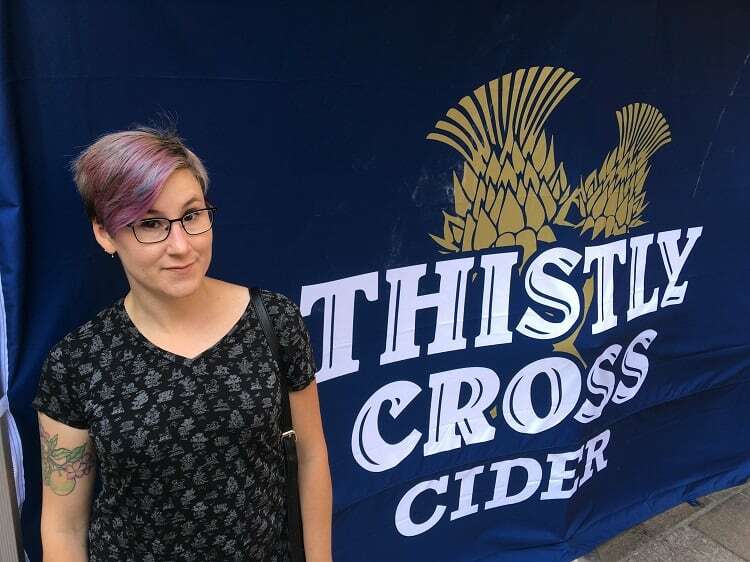 No Scottish cider adventure would be complete without an offering by Thistly Cross — the name that always pops up first when you Google “Scottish cider.” Indeed, Thistly Cross was second in ubiquity only to Magners. 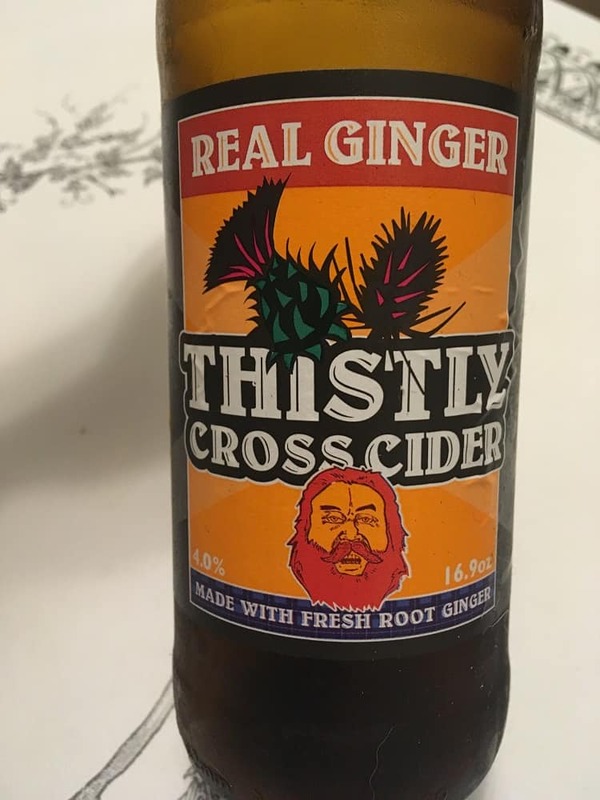 For some contrast with the other cideries’ traditional apple-only drinks, we tried Thistly Cross’ Real Ginger, which was very approachable: bubbly and sweet (if a little low on acid for my American palate), with clear bursts of bright ginger and notes of kola nut and red apple. This is one that you can sometimes find in the states, so I encourage you to try it side by side with an American ginger cider. There are some exciting differences! Possibly the most exciting Scottish cider I tried was the cider at the Black Isle Bar in Inverness. The Black Isle Cider is an in-house treat only, so book your tickets north if you want to try this deliciousness. Opaque brass in color, it smells mild with strong notes of hay, vanilla, overripe apples, caramel and golden raisins. 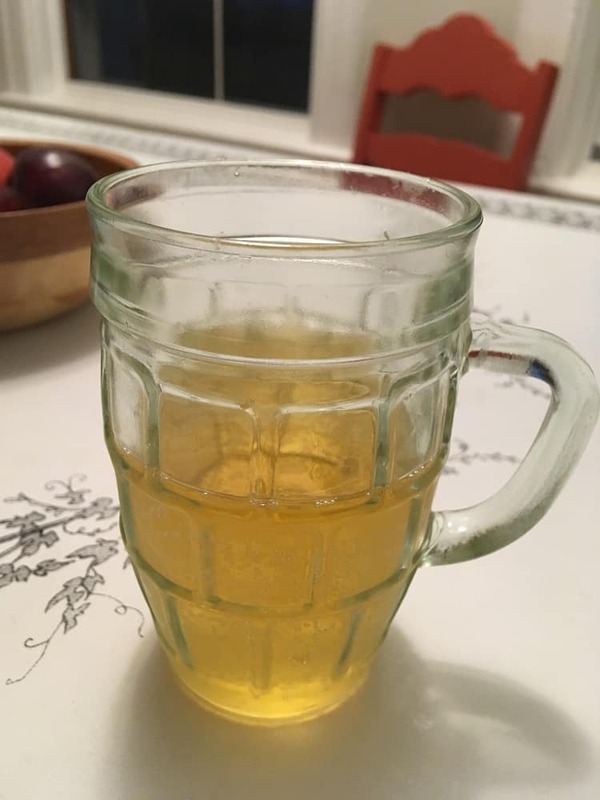 This petillant cider’s flavor is full and complex: high tannins and mid-low acidity, with a medium sweet and lovely mix of salt, sage, leather and mushroom. I had this with a super deluxe salad I’d been craving for days and a locally-sourced cheese plate. The pairings were out-of-this-world good! Not every place had Scottish cider, so I had my fair share of English ciders and one Irish cider, too. Lots of these were still fairly exciting to me as a visitor from America. I enjoyed a Stowford Press Medium Dry, the Somerset Gold by Chaplin and Corks, Orchard Pig Medium Draught, Mortimer’s Orchard by Weston’s Cider and, yes, I even had a Magners. I noticed a pattern that I found intriguing. More and more commercial-scale UK ciders are starting to use higher levels of acidity in their ciders. I wonder if this is because of the use of more dessert apples, or possibly some influence from other corners of the beverage market. Whatever the reason, I do enjoy some acidity myself, and these still had plenty to distinguish them from the ciders I sip from other places. Scotland is a wonderful place, and it makes for a thrilling vacation. I loved its wildness and the sense of history present everywhere. 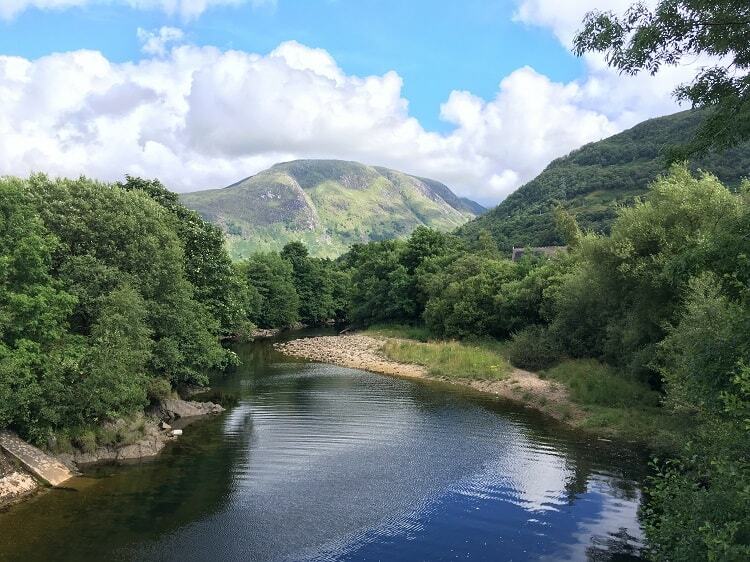 Though Scotland certainly doesn’t think of itself as a cider destination, I had a tremendous time exploring cider, along with the landscapes, architecture and cultures of Scotland. It might just take a little more persistence and exploration to find ciders off the beaten path. 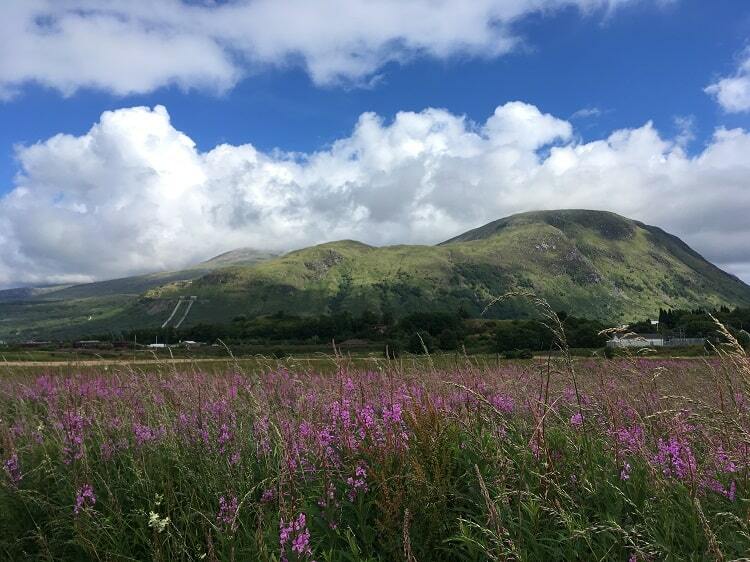 Have you explored cider in Scotland? If so, what did you find?